Make sure you take the galaxy's most famous Wookiee with you where ever you go with this Chewbacca backpack! 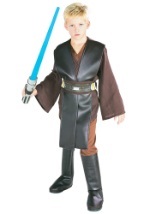 The Star Wars accessory is covered in long brown fur and has durable nylon straps that can be adjusted. The straps are attached to Chewbacca’s hands and waist to make it appear that he is holding on to you. The large pouch is lined with nylon and can be opened and closed with a zipper that circles the top. Another pouch (which is 4” by 4”) can be found in Chewbacca’s waist sash and closes using velcro. Pair this Chewie backpack with any of our Han Solo costumes for a classic Star Wars duo!